Dedicated to improving the lives of displaced French Bulldogs in the Northern California area. 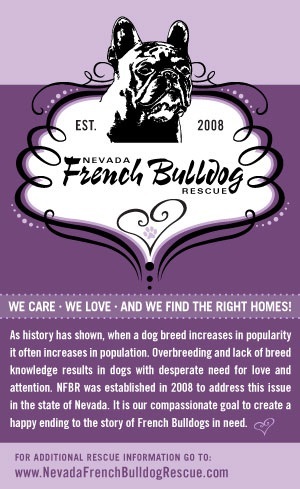 The Nor Cal French Bulldog Rescue is a non-profit organization. We have volunteers who love the French Bulldog breed and are dedicated to its continued well-being. The volunteers find new homes for approximately 25 French Bulldogs each year. Many hundreds of dollars are spent to provide medical care, food, shelter, and training while the rescued Frenchies are awaiting adoption. If you want to help the French Bulldogs waiting for adoption, you can make a donation to help pay the vet bills. Your support is greatly appreciated. To accept Frenchies whose owners can no longer keep them and find responsible, stable, loving new homes for them. To rehabilitate Frenchies before placement by providing necessary medical treatment and training to increase the chances of successful placement. To help reduce the population of unwanted pets by ensuring that all rescued Frenchies are spayed/neutered before being placed. To screen applicants thoroughly before making placement decisions. To inform prospective adopters about the rescue program and the requirements for taking care of French Bulldogs. Please note that the NCFB Rescue rescues only the purebred French Bulldog. Hundreds of French Bulldogs are lost, abandoned, taken to animal shelters, or surrendered to rescue every year. This is the price of popularity. (The French Bulldog is among the 10 most popular AKC breeds.) Buyers are intrigued by the Frenchies many charms, only later to discover the special care that some may require with their, “pushed in” faces, unusual structure, and, in some cases, genetic faults from irresponsible breeding. French Bulldogs that come through the rescue program are seldom in “perfect” condition in terms of health, temperament or both. 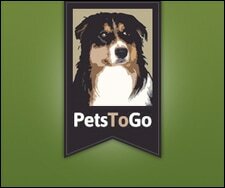 Frequently, it is health and/or behavior problems that cause the owners to give up the dog. We do not usually get puppies in rescue! The average age of a rescue French Bulldog is about two – five, and few Frenchies are ever surrendered to rescue under the age of two. Do you have, or know of, a Frenchie that needs a new home? If so, please contact the NCFB Rescue to discuss how we can help. Her eyes met mine as she walked down the corridor peering apprehensively into the kennels. I felt her need instantly and knew I had to help her. I wagged my tail, not too exuberantly, so she wouldn’t be afraid. As she stopped at my kennel, I blocked her view from a little accident I had in the back of my cage. I didn’t want her to know that I hadn’t been walked today. Sometimes the shelter keepers get too busy and I didn’t want her to think poorly of them. As she read my kennel card, I hoped that she wouldn’t feel sad about my past. I only have the future to look forward to and want to make a difference in someone’s life. She got down on her knees and made little kissy sounds at me. I shoved my shoulder and side of my head up against the bars to comfort her. Gentle fingertips caressed my neck; she was desperate for companionship. A tear fell down her cheek and I raised my paw to assure her that all would be well. Soon my kennel door opened and her smile was so bright that I instantly jumped into her arms. I would promise to keep her safe. I would promise to always be by her side. I would promise to do everything I could to see that radiant smile and sparkle in her eyes. I was so fortunate that she came down my corridor. So many more are out there who haven’t walked the corridors. So many more to be saved. At least I could save one.